Our body's largest population of beneficial microbes lives, appropriately, in the large intestine. After food gets digested and absorbed in the stomach and small intestine, what's left of our food slurry gets squirted into the large intestine, also known as the colon. It can spend hours there, as our body re-absorbs its water. And during that time, our food becomes food for the creatures that live there. We have trillions of little microscopic friends in our colon. As they digest our waste, they do tons of important things for us. They manufacture most of our vitamin K, for example. They protect us from infection by harmful microbes, and the help keep our immune system functioning properly. Our gut microbes come in many species, and a healthy gut is a diverse place, like a rainforest. If your digestive health isn't so great, you might consider adding some good bacteria to the mix. These are probiotics. But even though we have tons of species naturally living in our gut, the stuff sold as probiotics only includes a few types of bacteria. Some of those grow easily in dairy products, and they are the creatures that turn milk into yogurt. So a simple way of getting probiotics is to just eat yogurt with "active cultures." (Those words on the label just mean that the yogurt hasn't been treated to kill its bacteria, so they're still alive.) You can also buy probiotic pills or powders. An important note: Probiotics don't take up residence in your gut. It seems like they should, but research shows that they're tourists. They come in, they can maybe shake things up a little, and then they move on. In the meantime they can still have effects on your health, but they rarely cause any permanent change. Some studies have found that probiotics can help with diarrhoea or other health problems, but the science is iffy. Probiotics probably have some good effects, but they're not essential to our health (most folks are fine without them) and aside from a few specific situations, they may not do much at all. Our gut bacteria eat what we eat, but they only get the leftovers. Before our food gets to them, we've already absorbed the sugars, proteins, and fats that we can digest and use. That means they're left without much else: just fibre, and other things that our body considers indigestible. Some of these indigestible things are excellent food for our microbes, and eating them can encourage certain types to grow and thrive. For example, babies' gut microbiomes are shaped early in life by prebiotics in their mother's milk called human milk oligosaccharides (HMOs). These HMOs not only feed certain good microbes, but also prevent pathogens from causing infections. Prebiotics are things we eat that can potentially affect our health by affecting our gut microbes. Most known prebiotics are short chains of sugar-like molecules: fructooligosaccharides (FOS), galactooligosaccharides (GOS), and inulin, to name a few. Some types of dietary fibre are also considered prebiotics, depending on who you ask. If you package prebiotics and probiotics together, you can call the resulting pill a synbiotic. We eat prebiotics as adults, too, whether we realise it or not. Wheat and onions provide most of our inulin and oligofructose, for example. You can also buy prebiotic supplements that contain more concentrated doses of prebiotics, but there's no proven health benefit to doing so. But I haven't yet met a microbiome researcher who swears by supplements. More often, I hear them say that they work healthy foods into their diet: yogurt and fermented foods for the active cultures; a variety of plant foods like vegetables and whole grains to provide the prebiotics. Tried a new supplement over the past fortnight, GutRight. While I'm normally against naturopath like products and dubious about what they claim to do, I thought I'd give it a go. While I didn't notice a marked difference (some people reported massive changes over the ten days), I did feel a fair bit better on it. However, this may have been because of my intention to follow the recommended diet over the 10 days as well (low carbs). All my pre-frozen meals are pasta or rice based, so it was a challenge. I would like to see a scientific challenge based upon their claims regarding pre- and probiotics, and the validity of "modbiotics". Tastes like cinnamon flavoured dirt, however thus far I have experienced more positive results than negative. A lot of effects after taking the pills can be explained due to the placebo effect. 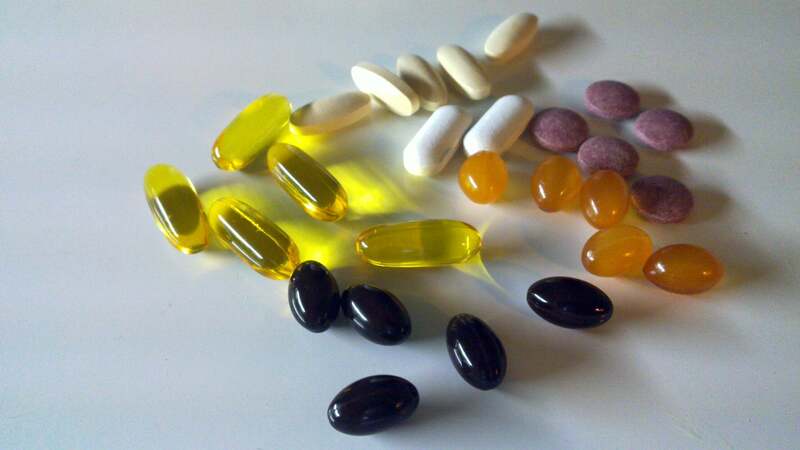 A lot of these supplements have been tested under scientific settings and have been found to have no basis in fact. Omega 3 tablets and brains being the most famous one i can think of.